A great way to give your tomatoes, peppers and other warm-weather crops a head start in the garden is to use a cloche or hot cap. This allows you to set out your plants a couple of weeks earlier than usual. The guideline for setting out tomatoes is usually the last frost date, but this becomes earlier and earlier as the climate warms, and is affected by whether you live in a city, which creates a heat-island effect, or in the suburbs. Many other factors like the slope of your land and proximity of walls, buildings and trees can also affect your micro-climate. The date normally quoted for setting out tomatoes and peppers in Philadelphia is usually around May 1 and in the suburbs May 15. Using a cloche can take some of the guesswork and uncertainty out of the planting-out date and allow setting out a couple of weeks early. 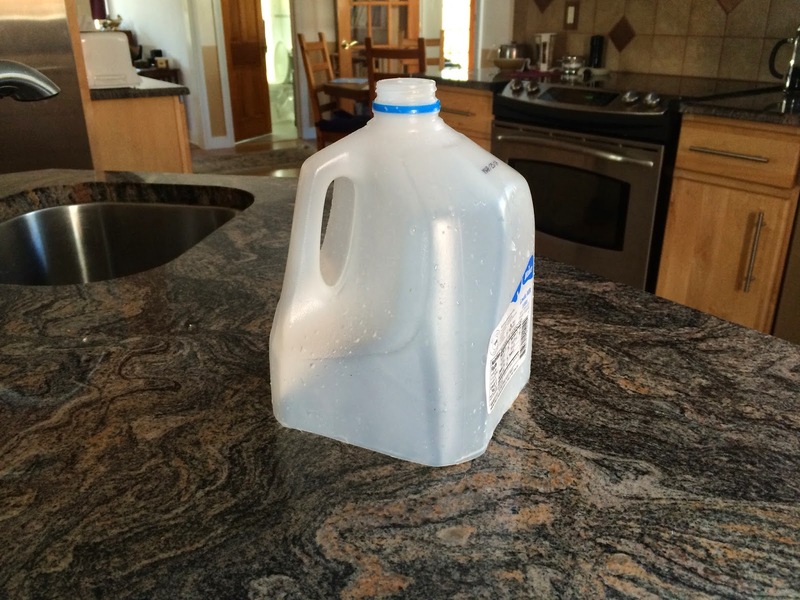 I use recycled one gallon or half-gallon plastic milk bottles with the bottom cut off. Rinse out the bottle, then (carefully) cut off the base of the bottle with a bread knife or a pair of scissors, and you are good to go. Set the bottle over the new transplant with the edge buried about 1 inch deep. If you just sit the bottle on the ground, it is liable to blow away in a strong wind. The warmth of the sun heats up the soil inside the bottle during the day. It also keeps the humidity high, which decreases transplant shock. At night, the temperature inside the bottle stays several degrees higher than the surrounding air, and the plant is protected from wind. I usually leave the tops off the bottles to avoid the trapped air becoming too humid, but if a late frost or cold and windy night is forecast it is quick and easy to put the tops on the bottles, and take them off the next morning. Once we get into late May or early June and your plants are growing rapidly it is time to take off the milk bottle cloches. They can be used for two or three seasons, but eventually the plastic becomes brittle and cracks. That is why I start collecting my empty milk bottles about the same time as I plant my seeds indoors. A further advantage of the milk bottle cloche is protection from cutworms and other insects. I often leave my cloches on my eggplants until they are too big to fit, to avoid flea beetle and other insect damage. Other uses for cloches in the garden include covering directly sown seed to encourage faster germination, and covering greens in the fall to extend the harvest.